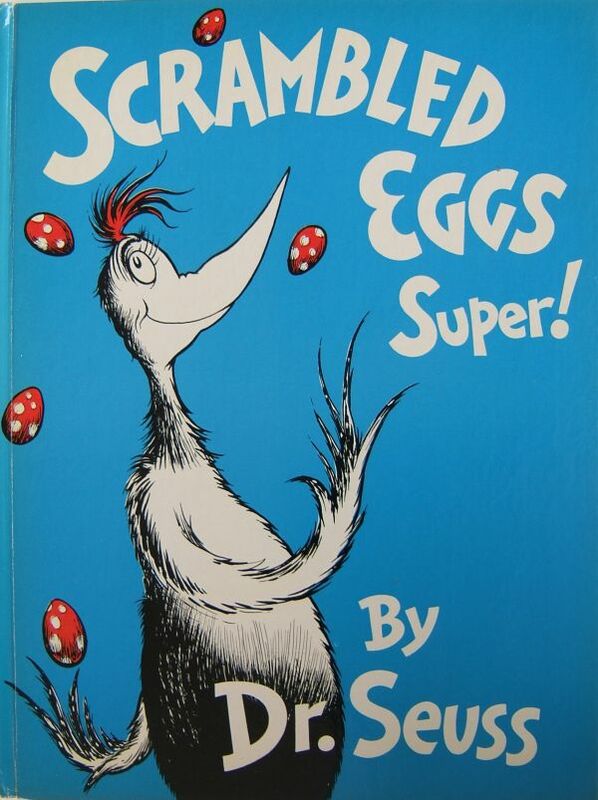 Scrambled Eggs Super was the fifth post-war children’s book written and illustrated by Theodor Seuss Geisel, and ninth overall. ‘His work reaches the public in many assorted forms. Sometimes, for Hollywood, he writes humorous lyrics or screen plays. His “Gerald McBoing-Boing” won an Academy Asward as the most oustanding animated cartoon of 1951. In a more serious vein he wrote (with Mrs. Seuss) the documentary feature “Design for Death” which captured an Oscar in 1948. 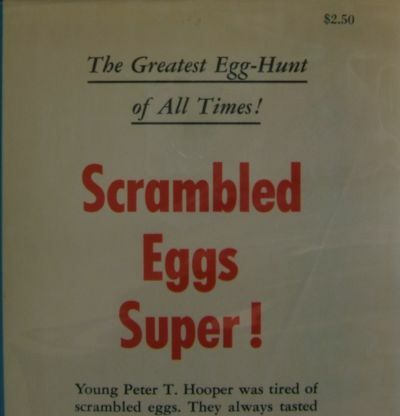 Dust jacket: Price on top right front flap of “$2.50”. 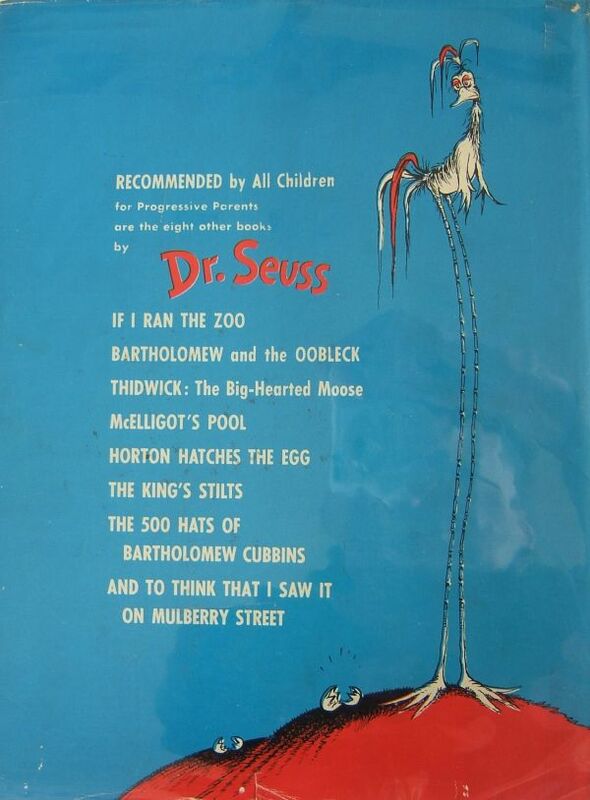 Back DJ lists eight other books by Dr. Seuss, with If I Ran The Zoo at the top, list ending with And To Think That I Saw It On Mulberry Street. 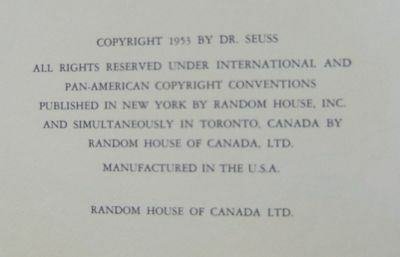 Book: Same as back DJ, eight previous Dr. Seuss titles listed, with If I Ran The Zoo at the top, list ending with And To Think That I Saw It On Mulberry Street.